Ackland and Sander Consulting is experienced in fire investigation and litigation support testimony related to commercial kitchen systems. 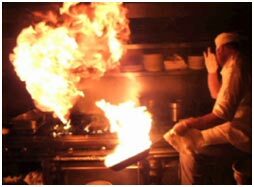 Every year, thousands of fires occur in commercial kitchens. The complex environment of appliances, fire-extinguishing systems and exhaust systems requires an investigator to have a clear understanding of commercial kitchen systems. The team at Ackland and Sander Consulting are commercial kitchen systems experts. Our knowledge is built on over 45 years of experience in the industry — designing, installing and servicing fire suppression and exhaust systems, as well as training. 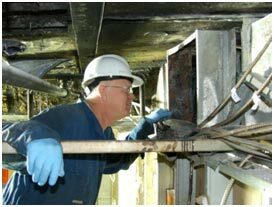 Over the years our team has witnessed countless safety violations, substandard installations and poor maintenance. At the fire scene, Ackland and Sander Consulting makes sure all relevant evidence is collected and documented so solid conclusions can be reached. In court, our associates are experienced in providing expert opinions and testimony. Our team is made up of leaders in the industry. Phil Ackland sits on the National Fire Protection Association’s NFPA 96 committee (as Special Expert) for commercial cooking equipment. The NFPA is the authoritative source for fire codes and standards in the United States and Canada, as well as in other countries. Ackland and Sander Consulting has the expertise to investigate your commercial kitchen fire scene. Over the years, law firms and insurance companies throughout North America have used the expertise of Ackland and Sander Consulting to support and win their cases.